Easy Meal Prep is one of the best ways to stay on track with healthy eating! 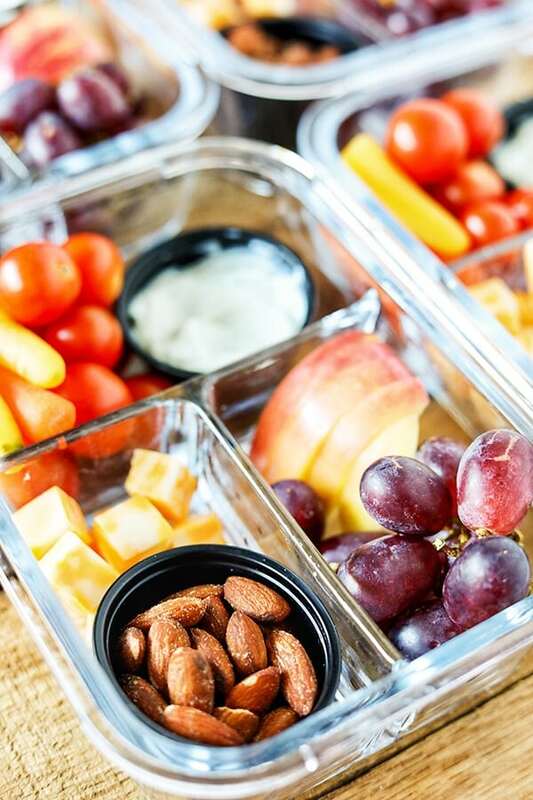 I love these make-ahead Bistro Style Snack Boxes, they are packed with protein, fruit, and veggies! 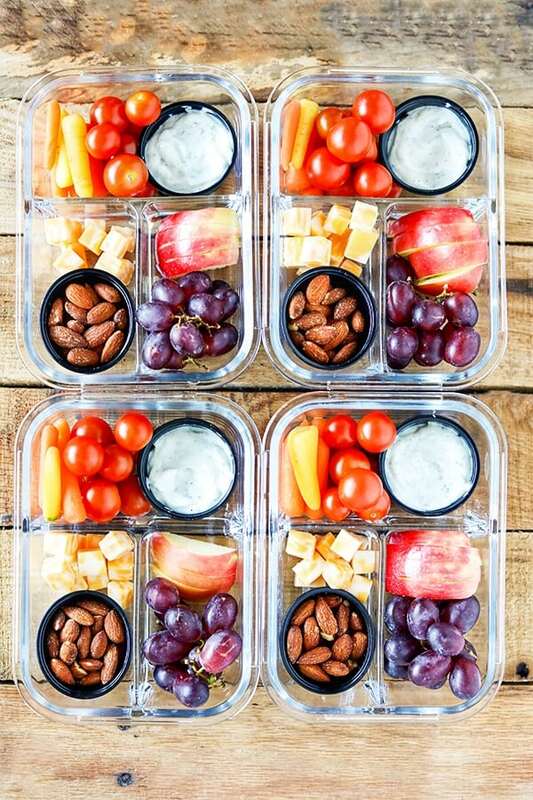 This easy meal prep idea will keep you snacking healthy all day long! 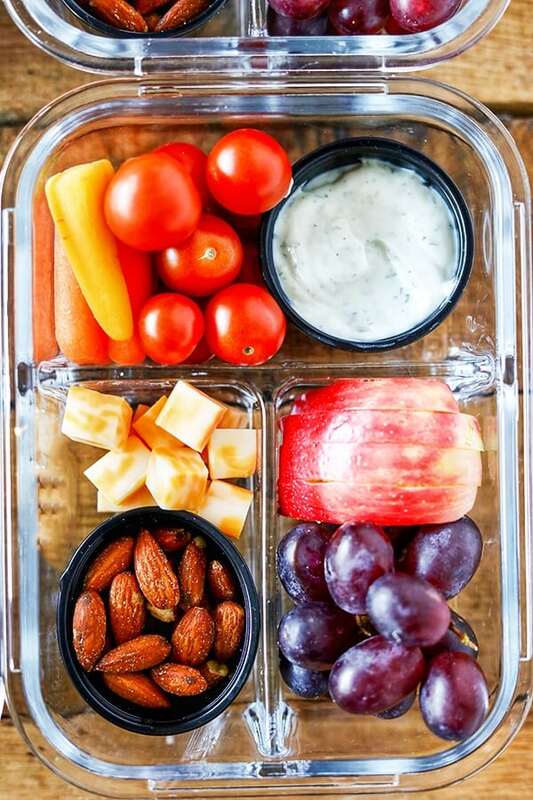 These easy to assemble bistro boxes are the perfect way to get 1-2 servings of fruits and veggies per day. You can snack on this throughout the day, or have it for a quick light meal. I used some of my favorite fruits and veggies, but feel free to mix and match! Use fresh in-season fruit and veggies for the very best flavor. One of my favorite tips is to use Plain Fat-Free Greek Yogurt with Hidden Valley Greek Yogurt Ranch Dip Mix for dipping veggies. Thick, creamy and packed with flavor! 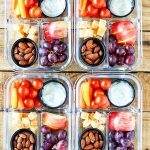 You can find these lovely reusable meal prep storage containers here and the portion cups here. They are perfect for easy meal prep! In a small bowl, combine Hidden Valley Greek Yogurt Dips mix and fat-free Greek yogurt. To keep apples from browning, brush slices lightly with fresh lemon juice. Me and my family we are all for healthy eating, so thank you for this recipe!